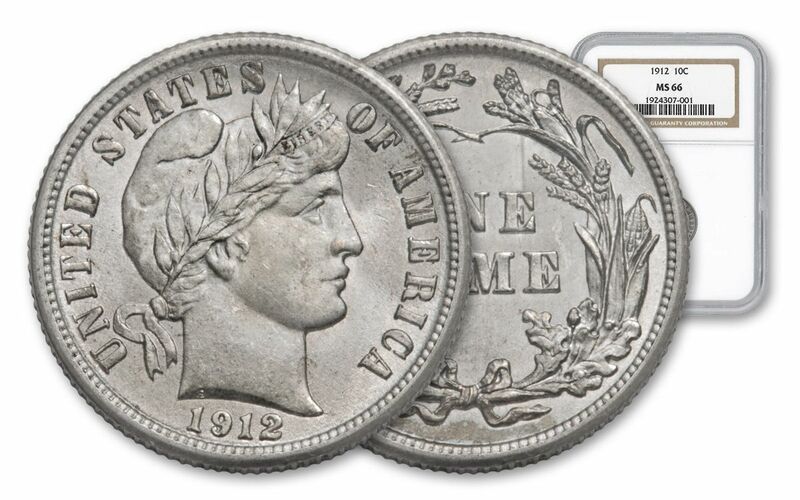 Steeped in History, a Magnificent Mint-State 1912 Barber Dime! 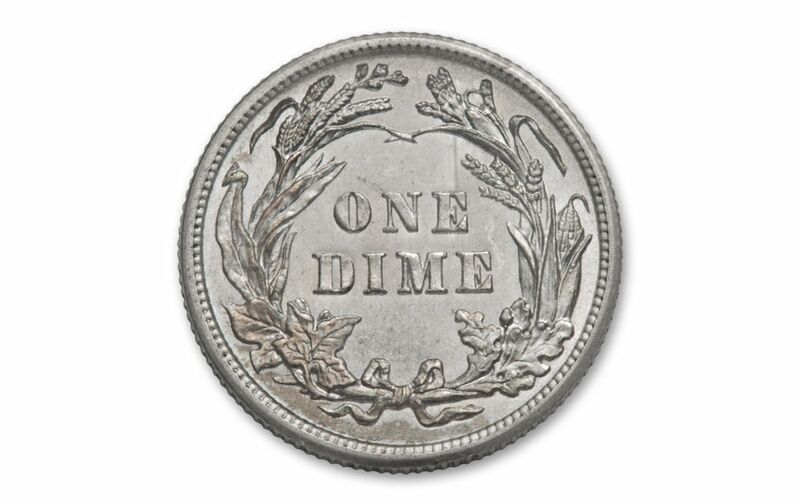 Struck for 24 years starting in 1892, the Barber Dime sat in the pockets of thousands of immigrants who had entered the country through Ellis Island, as well as soldiers fighting in both the Spanish-American War and World War I. Struck in 90% silver, theses dimes featured Lady Liberty with her hair tucked up under her cap, ready to get to work. The design was inspired by Greek, Roman and 19th century French coinage -- and it was so popular that it also appeared on both the quarter and half dollar of this period! This particular coin was struck at the Philadelphia Mint for issue in 1912 -- the same year the Titanic sank to the bottom of the sea. 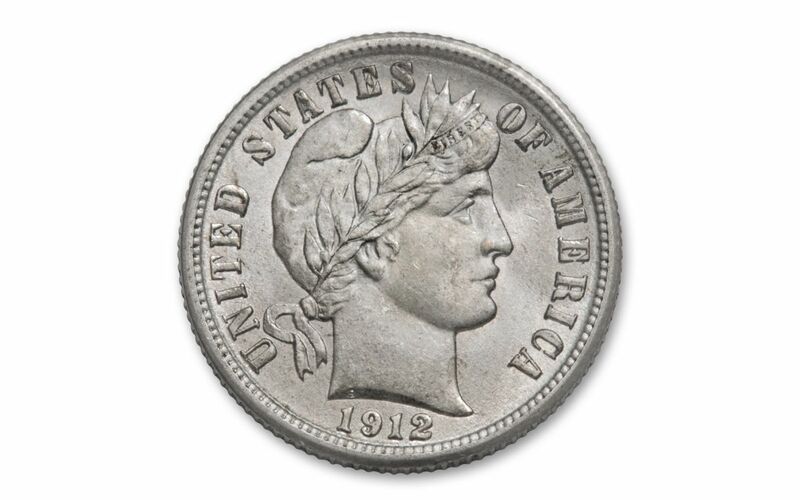 Finding this coin is no easy challenge, as many have been worn down in commerce or melted since the early 1900s. 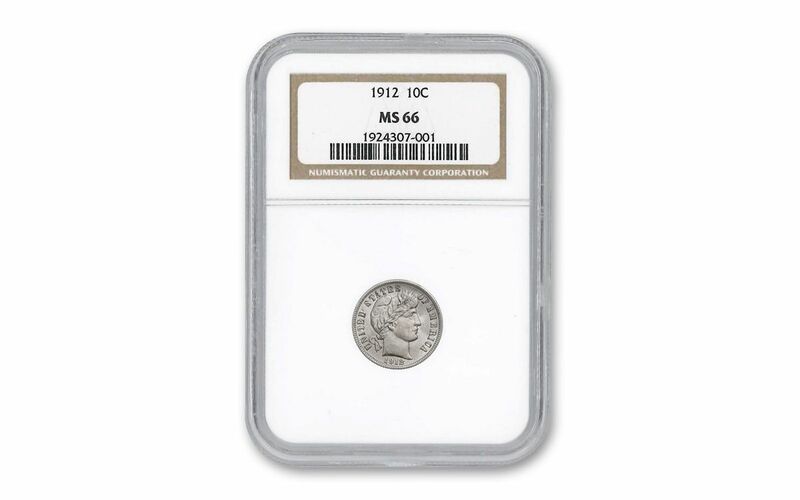 So don’t wait to secure this one now, certified Mint State-66 (MS66) by Numismatic Guaranty Corporation (NGC)!